We are happy to present this brand of beautiful Japanese writing instruments! 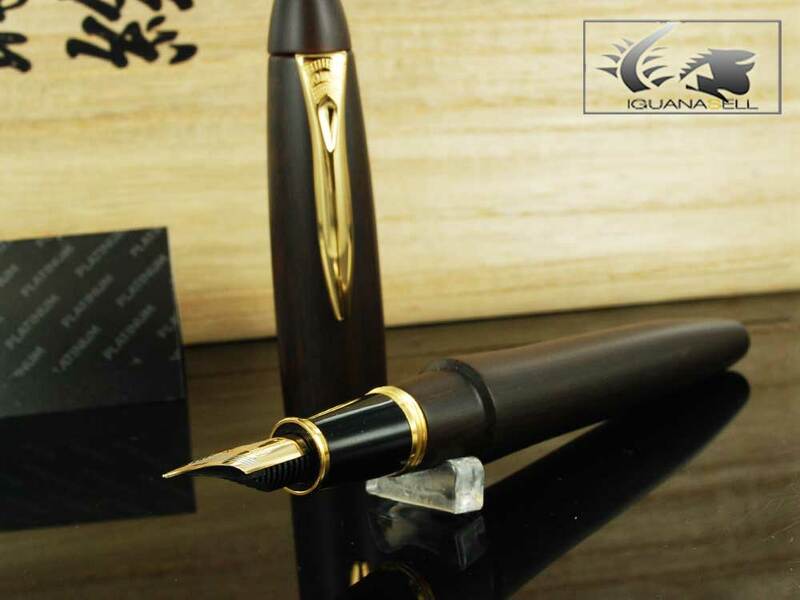 At Iguana Sell we find that Japanese pens are unique in their beauty and elaboration. Not only Maki-e pens, but even resin pens, are made with such care and precision that they turn out to be very high quality instruments. One of the most common surprises these pens have is that nib width is thinner than the equivalent in European sizes. In other words, most Japanese M nibs compare with European M nibs (generalising over very different brands and widths). This is because Japanese and Chinese writing requires many different lines in a small space. Nevertheless, most of our customers prefer this “thin stroke” aspect because it enhances the exotic nature of these pens. Platinum pens offer a very wide range of writing instruments. From brushes and gel pens to high quality material fountain pens. 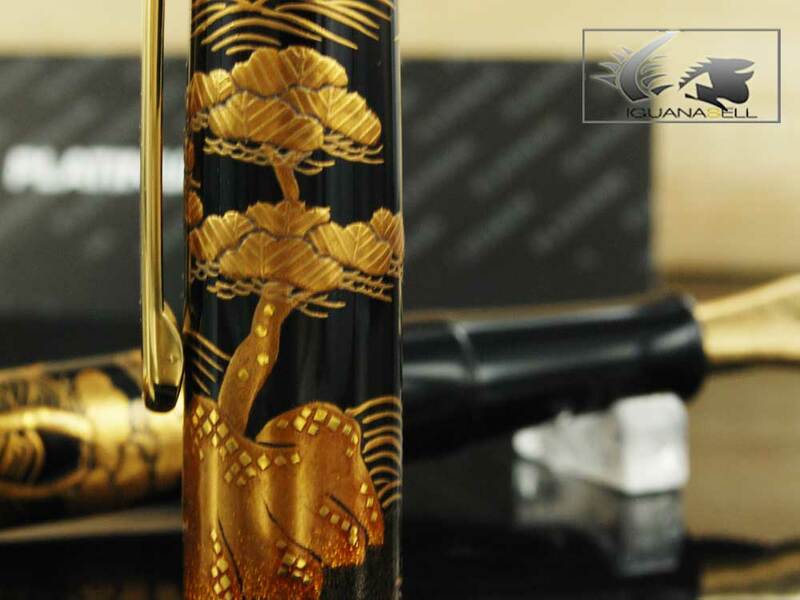 Platinum pens are well known for their artisan Urushi Maki-e lacquering which can be found in very expensive pieces as well as in regular line fountain pens. This finish stands out for being had made and highlighted with gold dust. Some pens even include the fine Japanese technique which decorates the barrel with egg-shell. 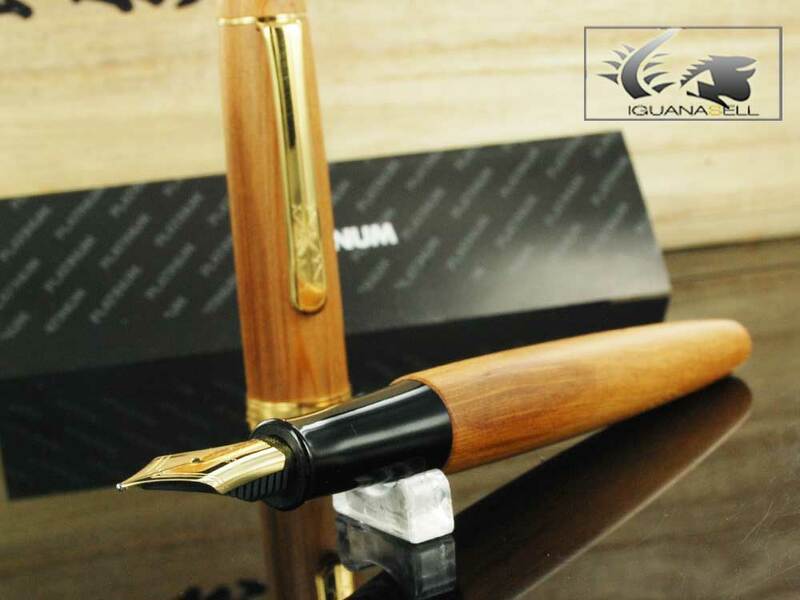 Finally, the wooden barrel pens are another great success of this wonderful brand. If you haven’t had the pleasure to have a Japanese Platinum pen, don’t miss this excellent opportunity. You will definitely not regret it, and you can find amazing prices at Iguana Sell.